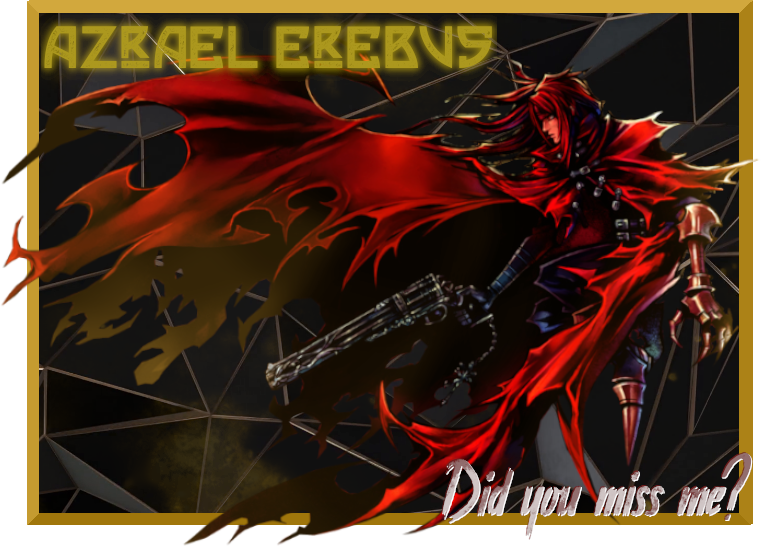 Private Message: Send Azrael Erebus a private message. You use my favorite ff character as a pic base! Wwwuuuzzz though because of the site issues, and because of that it's given me more time to quote on quote iron out my possible house show. Check out who I have you facing......for now. What ya think? Azrael Erebus, I WILL BREAK ALL BEARS! DEATH TO THE URSINE!